Even though cats are not good vegetable eaters, they seem to like pumpkin! 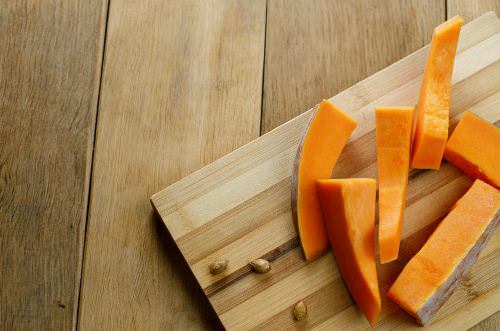 Pumpkins are high in fiber that works as a good natural remedy for constipation, diarrhea or hairballs. Buy canned (plain unflavored) pumpkin, divide servings into ice cube trays and freeze. It will be easier to thaw the amount needed.